Hey everyone! I have to tell you about our newest cleanser out! It’s called Meil-en-Mousse. Meil is French for Honey 🍯. This cleanser has Acacia honey in it and it smells wonderful! 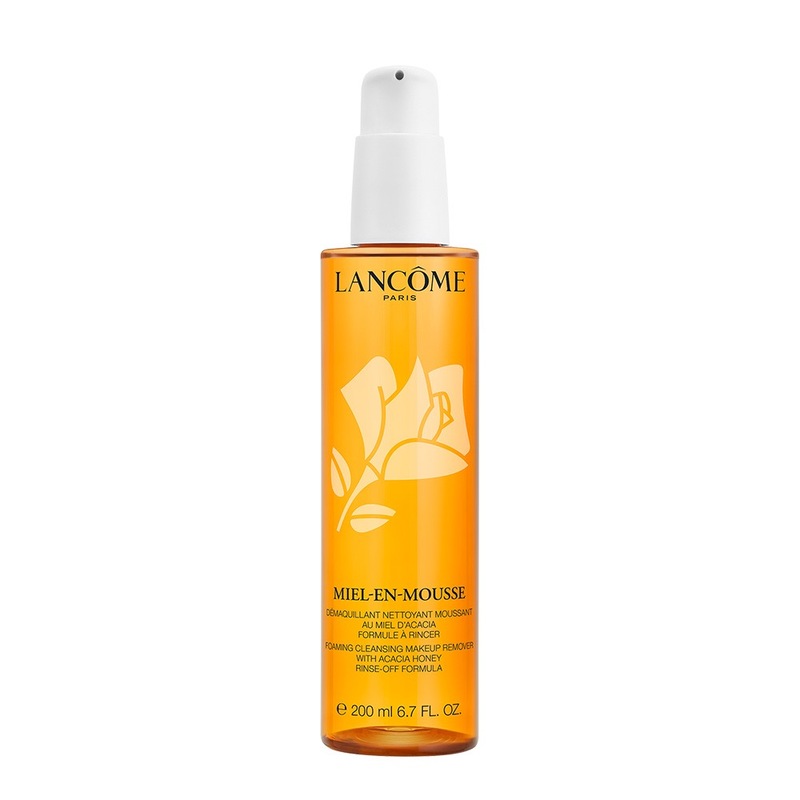 It melts away makeup and impurities for a fresh face. Your skin will feel so fresh, clean, and smooth! Hey everyone! I am so glad to be sharing this with you today. 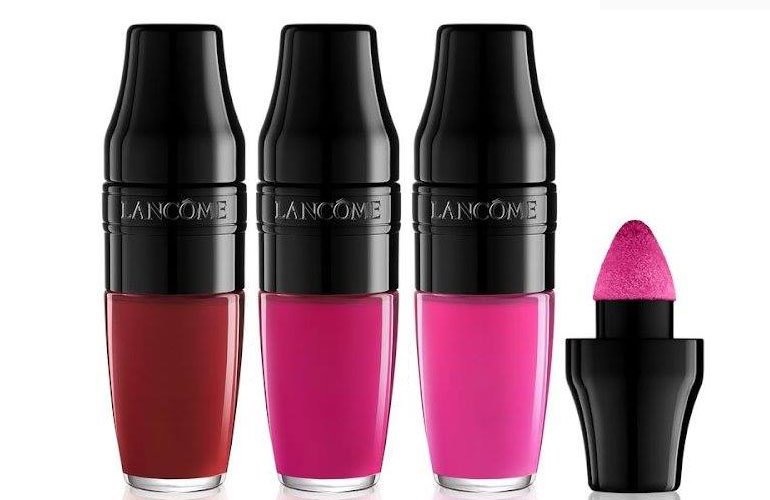 Lancôme sent me our new Matte Shakers in the color Power Pink. Which is a fusia color. It is soooo pretty!!! We have tons of colors out for the spring and summer. They stay on! But if you are eating you will have to reapply. 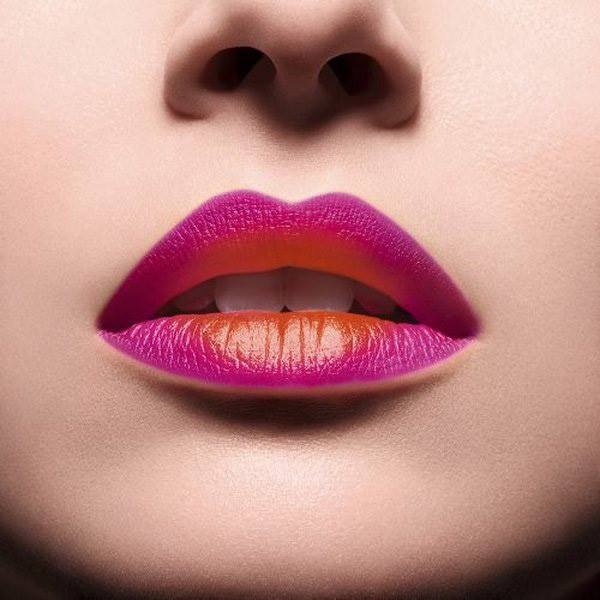 But when I had it on I felt like nothing was on my lips until I looked in the mirror and saw my beautiful pink lips. I love them and want more!!! They don’t have a smell… unlike our Juicy Shakers that actually have scents to them. Let me know what you think of them! 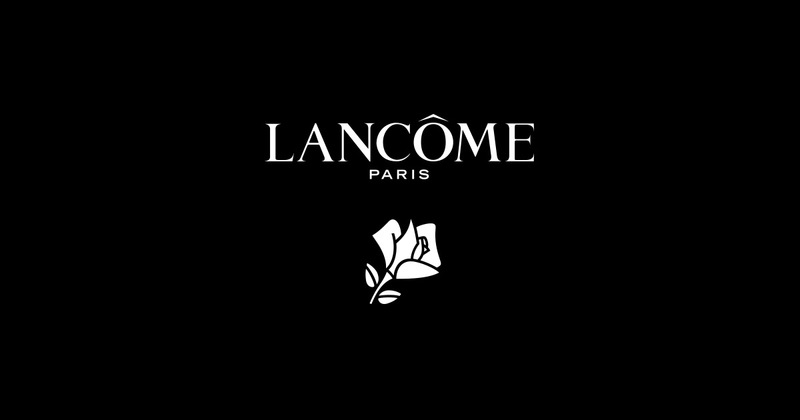 When I got the job for Lancôme I was told by the person that interviewed me that I would be flying to either Texas, New York, or Florida. The 3 day business trip would be all expense paid. The hotel I would be staying at had a restaurant and so we got a voucher for our dinner meals. I didn’t have to spend a dime on this trip if I didn’t want to… but I did. I got my own room with a big screen TV. It was a very pretty spacious room. Loved it! I ended up going to Florida for three days for my training. The classes here from 8-5.Breakfast, Lunch, and Desserts were served during our class times. (The food was amazing!!!) we had free time after class to do whatever we wanted. I made friends and hung out with them mostly after class. We went to the beach and shopping. I had a very good time learning with these people. The teacher made it fun and exciting to learn this stuff. The best part was…. GRATTIS!!!! I got a medium bottle of Genifique, La Vie Est Belle (our #1 selling fragrance) mascara, really awesome training books, a toate bag, roses. It was amazing and I loved every minute of it. I am glad I work for a company who spoiled me and wanted me to learn in a memorable way. I am loving what I do so far and hoping to move up in this company. Hello everyone! I want to share with you this wonderful foundation that I have been using for the past month. 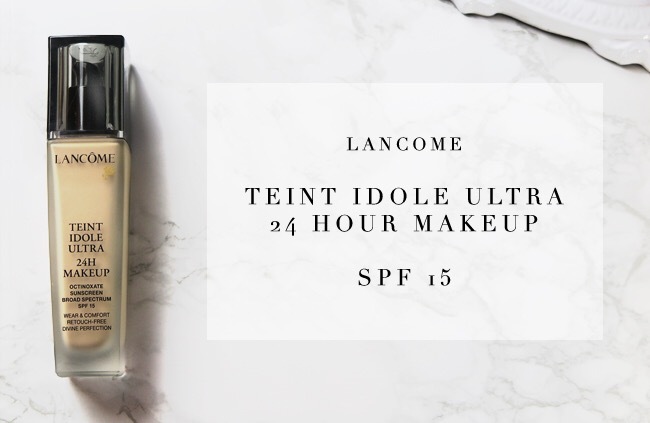 The Teint Idole from Lancôme. Before I went to for my training for Lancôme, my manager gave me a goodie bad with free samples from Lancôme to take with me. One being a sample of this foundation. I already had it in my head that I wasn’t going to use it cause I already had my Sephora foundation. I tried it out and… I fell in love with this foundation! It glides in your face like it was butter. Such a smooth foundation and light weight. Does not feel like your wearing a mask. It is moderate to full coverage, meaning you can wear as little or as much of it as you like. It is very blendable and easily complements your natural skin tone. I recommend this foundation to most of my clients and it is the one we mostly have in stock because it is so popular. It has an SPF of 15 to protect your skin. So if you are looking for a great new foundation for the summer months I HIGHLY recommend this one! No one really knows this about me, but I work at a retail job at Belk. If you live up north and in the west you probably haven’t really heard of Belk. Its like Macey’s its a high end store like that. 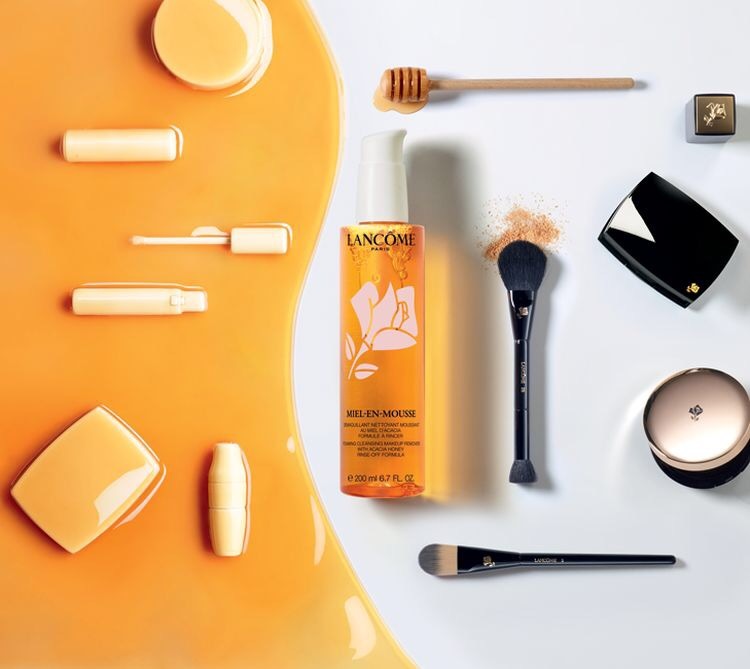 We sell Lancôme and I am hopefully about to be trained to do the makeup for Lancôme. BUT HAVE YOU SEEN THIS HIGHLIGHER!!!! The new rose highlighter is sculpted into a beautiful rose! I hope that I will be working with this. I almost wouldn’t want to work with it because it is so beautiful! If you want to get your hands on this rose highlighter go to the nearest place near you that sells Lancôme or go online!